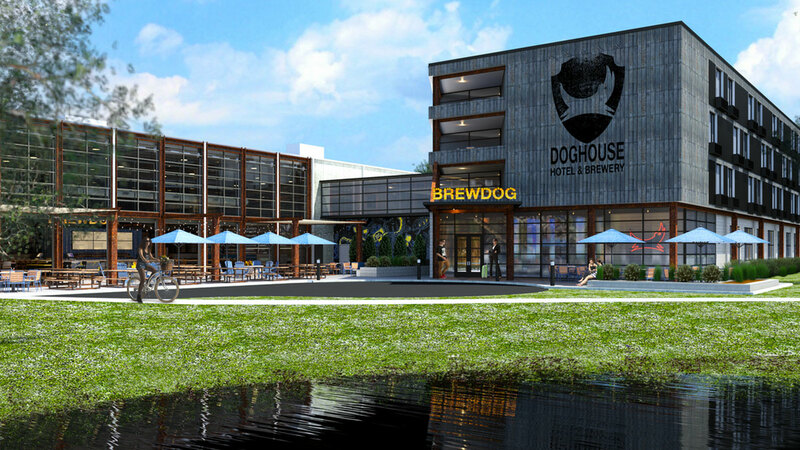 BrewDog's DogHouse hotel and brewery will sleep and souse up its first guests in Columbus, OH on August 27, 2018. 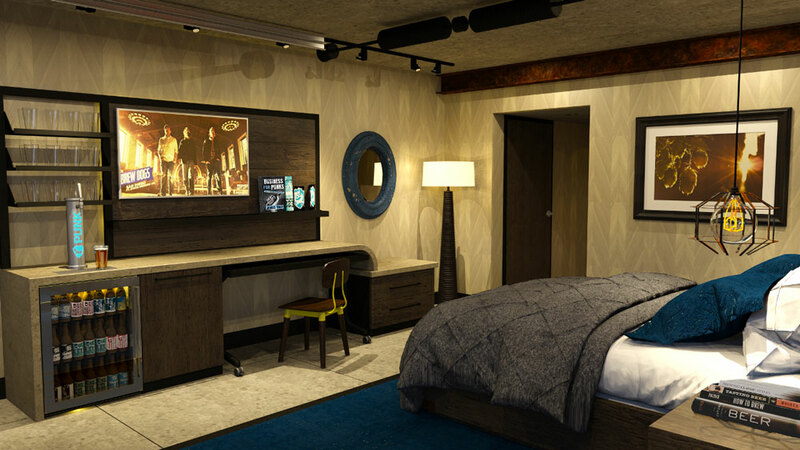 Calling themselves the "world's first crowdfunded craft beer hotel*" BrewDog decided to plant some of its Scottish roots in the heart of Ohio over a year ago, and has finally put the finishing touches on its 42-acre estate. 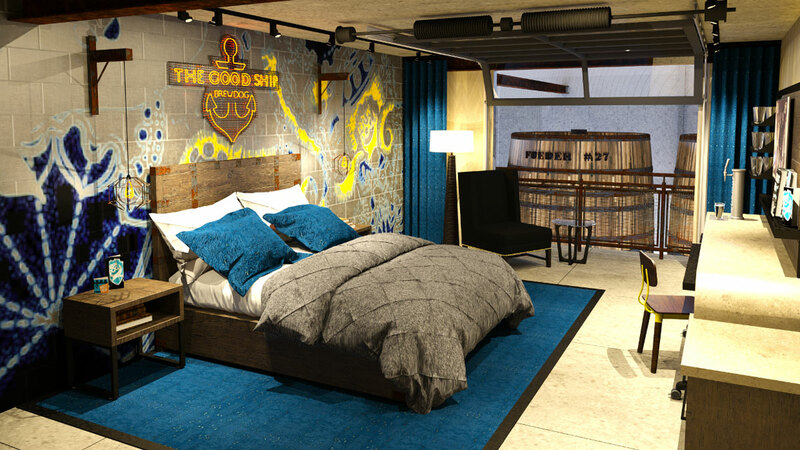 While the beer experience at the DogHouse does not go so far as to include Punk IPA fountains and Hazy Jane Slip 'n' Slides, the hotel itself looks funky and trendy, with 32 spacious rooms and suites that echo the bold, colorful designs of BrewDog's beer labels. 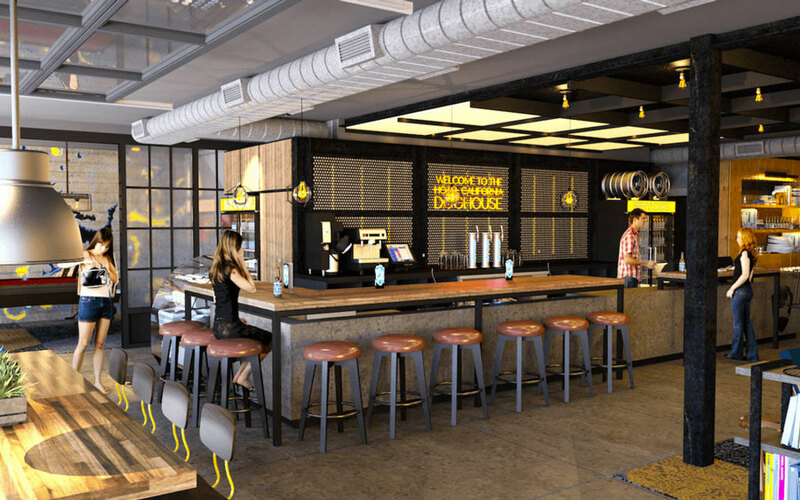 The OverWorks brewery and taproom will stand as the property's centerpiece, and BrewDog's new American brewing headquarters, churning out all of the beer they distribute in the US. Throughout the rest of the BrewDog campus you can find a fitness center with Rogue Fitness equipment, views of the OverWorks sour beer facility, a lobby bar with games and activities, a marketplace with takeout, and a daily continental breakfast. 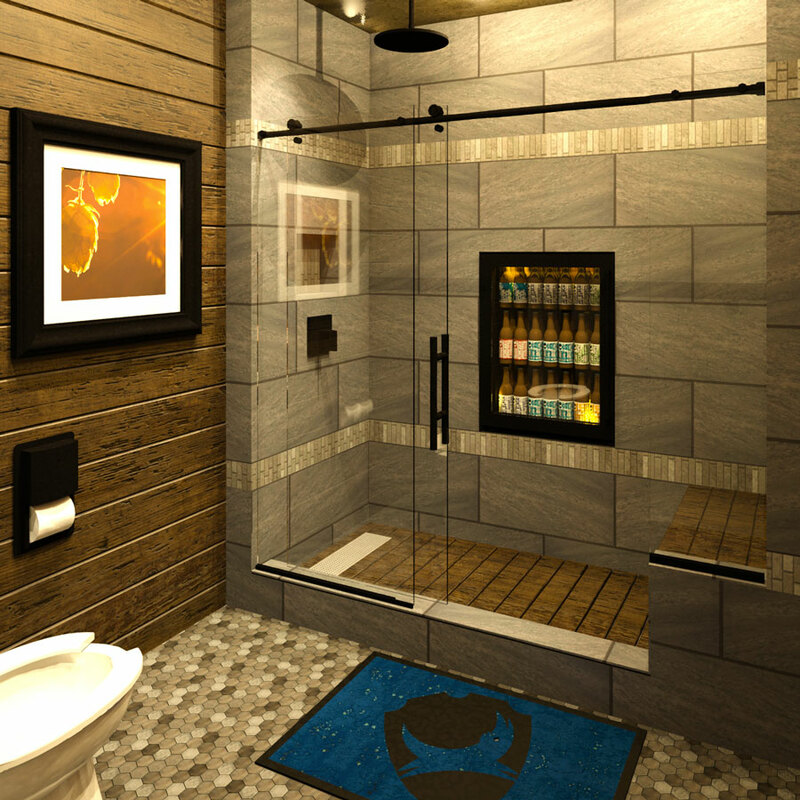 If you need both a gift for a beer lover and a weekend escape, this is one DogHouse you might enjoy spending time in. Or if tequila's more your thing, head over the border to this tequila barrel hotel on an agave farm in Jalisco. *I guess the specificity of "crowdfunded craft beer hotel" makes this statement true. Otherwise, McMenamins has been around Washington and Oregon since the 80s, and they have a few massive campuses with breweries and lodging - plus pubs and live music venues and spas - throughout the states.